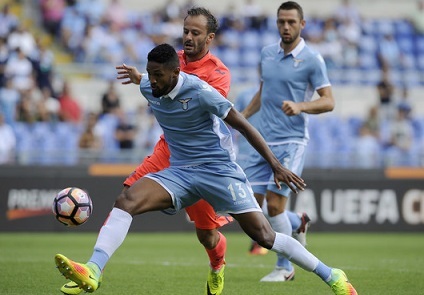 Keen on getting back into the top four race, Lazio will be pushing for victory as they host Empoli at Stadio Olimpico this midweek. The visitor themselves won’t be traveling just for fun as they are looking for points to avoid relegation trouble. Here are the Possible lineups for both sides as they are gearing themselves for an important Serie A battle on Thursday. Let’s take a further look at what kind of lineups and formation that the two teams could be preparing to help them achieving their target. Heading into this Thursday league battle, both teams have already been involved in several domestic matches. Let’s find out what kind of results the two sides have been experiencing to get a clear idea about their current form. Biancocelesti have been experiencing a rather mix results throughout the early part of 2019 so far. Simone Inzaghi’s men won three games, but also suffered two defeats in their last five fixtures. Ahead of the rearranged schedule against Empoli, Aquilotti did picked up two important victories. Beating Inter Milan via penalty shoot out in Copa Italia and last week’s 1-0 victory against Frosinone. Giuseppe Iachini’s side have been in a poor form recently, especially at the start of this new year. On their three recent fixtures so far this year, Empoli are yet to win any games. Azzurri picked up two draws and one defeat, putting them still far away from escaping that relegation trouble. Their recent away fixture did end in a draw, so there’s that slight positive feeling from them ahead of their midweek clash. Inzaghi have some injury concerns for their clash against Empoli with several players won’t be available or doubtful to play. Wallace, Luiz Felipe and Jordan Lukaku are those who most likely won’t be available due to injuries. Meanwhile, there’s also worrying situation regarding Ciro Imobile and Luis Alberto’s fitness, though they might still make the squad. In midfield there’s an important absentee though with Marco Parolo suspended. The visitor have a much better situation regarding injury situation as they will only miss Lorenzo Polvani, who is nursing a long term injury. Apart from the center back, Iachini has plenty of options to chose for his starting lineup. The Azzurri will continue to count on Francesco Caputo and Dario Farias up front in search for goals at Olimpico. Ivan Prodedel in goal might have to work hard in stopping Lazio’s forwards. Biancocelesti have a pretty convincing record at home against Empoli as Inzaghi’s boys recorded eight wins on two draws in previous meetings. In their last five meetings, Lazio have also been dominant compared to their opponent, winning four and losing just one match. Lazio are very determined to get themselves back into that top four seat and only a win will help them achieve that mission. On paper, Biancocelesti would be clear favorites, but every teams will be difficult to face in this second part of season. Several injury concern might be giving some problems for Inzaghi’s squad this midweek, but they remain confident with their chance. Empoli will try to take advantage on whatever situation they can use to get at least a point.